Icon depicting Emperor Constantine, accompanied by the Fathers of the 325 First Council of Nicaea, holding the Nicene Creed in its 381 form. An Ecumenical council (or oecumenical council; also general council) is a conference of the bishops of the whole Church convened to discuss and settle matters of Church doctrine and practice. The word derives from the Greek language "Οικουμένη," which literally means "the inhabited," and was originally a figure of speech referring to the territory of the Roman Empire since the earliest councils were all convoked by Roman Emperors. In later usage, it was applied in a more general way to mean all places that are inhabited by the Church, therefore "world-wide" or "general." The acceptance of some historical councils varies widely between different branches of Christianity. The "whole" church, however, is constructed by Roman Catholics to mean only those in full communion with the Bishop of Rome. Similarly, Eastern Orthodox Christians take the "whole" church as including all Eastern Orthodox jurisdictions in full communion with each other. This does not include the Roman Catholic/Eastern Catholic Churches, nor the Oriental Orthodox Churches. The last council considered ecumenical by both groups was the Second Council of Nicaea, (787 C.E. ), and hence the importance of the first seven ecumenical councils. These seven councils, at the most, are also the only councils accepted by various Protestants, and hence in a limited modern sense are the only true "Ecumenical" councils. The Quinisext Council, however, is rejected by Roman Catholics but considered part of the 6th council by the Eastern Orthodox. More local (non-ecumenical) meetings are generally called "synods." The Greek word "synod" (σύνοδος) derives from "syn" (in Greek: σύν; in English: Together) and "odos" (in Greek οδος; in English: Road, way), therefore a synod is the coming together of several people sharing a common element, in this case the Christian bishops. Even though the Ecumenical Councils were often motivated by political considerations to establish and promote orthodoxy, they were still monumental for their efforts to promote Christian unity. Church councils were, from the beginning, bureaucratic exercises. Written documents were circulated, speeches made and responded to, votes taken, and final documents published and distributed. A large part of what is known about early Christian beliefs of heresies comes from the documents quoted in councils in order to be refuted, or indeed only from the deductions based on the refutations. From the councils, canons (Greek κανονες, "kanones," that is "rules" or "rulings") were published and still survive. In some cases, other documentation survives as well. Study of the canons of church councils is the foundation of the development of canon law, especially the reconciling of seemingly contradictory canons or the determination of priority between them. Canons consist of doctrinal statements and disciplinary measures—most Church councils and local synods dealt with immediate disciplinary concerns as well as major difficulties of doctrine. Eastern Orthodoxy typically views the purely doctrinal canons as dogmatic and applicable to the entire church at all times, while the disciplinary canons are the application of those dogmas in a particular time and place; these canons may or may not be applicable in other situations. According to the Acts of the Apostles found in the New Testament, the Council of Jerusalem was the first council in the early church. It addressed the tension between maintaining Jewish practices and accepting Gentile converts. Although its decisions are accepted by all Christians and later definitions of an ecumenical council appear to conform to this sole biblical council, no Christian church includes it when numbering the Ecumenical Councils. The period of Christianity from the First Council of Nicaea (325 C.E.) to the Second Council of Nicaea (787 C.E.) is called the period of the Seven Ecumenical Councils. 1. First Council of Nicaea, (325 C.E. ); repudiated Arianism and Quartodecimanism, adopted the original Nicene Creed and granted Jerusalem a position of honor. This and all subsequent councils are not recognized by nontrinitarian churches—for example, Arians, Unitarians, The Latter-day Saints and members of other Mormon denominations, and Jehovah's Witnesses. 2. First Council of Constantinople, (381 C.E. ); revised the Nicene Creed into present form used in the Eastern and Oriental Orthodox churches and prohibited any further alteration of the Creed without the assent of an Ecumenical Council. 3. Council of Ephesus, (431 C.E. ); repudiated Nestorianism, proclaimed the Virgin Mary as the Theotokos (Greek Η Θεοτόκος, "God-bearer" or more commonly "Mother of God"). This and all following councils are not recognized by the Assyrian Church of the East. Second Council of Ephesus or Robber Council, (449 C.E. ); rejected Nestorianism. Pope Dioscorus I of Alexandria found Eutyches to be Orthodox. Dioscorus, however, declared anathema to Eutyches shortly after the Council of Chalcedon. This council is not recognized by the Chalcedonians (Western Catholics and Byzantine Orthodox, and Protestants). 4. Council of Chalcedon, (451 C.E. ); repudiated the Eutychian doctrine of monophysitism, described and delineated the "hypostatic union" and two natures of Christ, human and divine; adopted the Chalcedonian Creed. For those who accept it, it is the Fourth Ecumenical Council (calling the previous council, which was rejected by this council, the "Robber Synod" or "Robber Council"). This and all following councils are not recognized by the Oriental Orthodoxy. 5. Second Council of Constantinople, (553 C.E. ); reaffirmed decisions and doctrines explicated by previous Councils, condemned new Arian, Nestorian, and Monophysite writings, decreed Theopaschite Formula. 6. Third Council of Constantinople, (680–681 C.E. ); repudiated Monothelitism, affirmed that Christ had both human and divine wills. 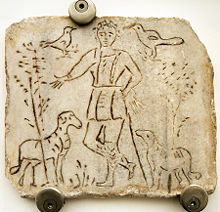 Quinisext Council (Fifth and Sixth) or Council in Trullo (Greek: En tō Trullō) (692 C.E. ); mostly an administrative council that raised some local canons to ecumenical status, established principles of clerical discipline, and addressed the Biblical canon. It is not considered to be a full-fledged council in its own right because it did not determine matters of doctrine. 7. Second Council of Nicaea, (787 C.E. ); restoration of the veneration of icons and end of the first iconoclasm. This doctrine is rejected by some Protestant denominations, who instead would prefer the Council of Hieria (754 C.E. ), which condemned the veneration of icons. 8 (RC) Fourth Council of Constantinople, (869–870 C.E. ); deposed Patriarch Photios I of Constantinople (who was later made a saint by the Eastern Orthodox Church) because of certain irregularities involved in his assumption of the patriarchal throne, such as the fact that his predecessor Saint Ignatius had not been validly deposed. This deposition was not accepted by the Eastern Orthodox Church at the time, but was within a few years. In any case, after the death of St. Ignatius, Photios was reinstated as Patriarch and reconciled with the Papacy. The next two are regarded as ecumenical by some in the Eastern Orthodox Church but not by other Eastern Orthodox Christians, who instead consider them to be important local councils. They have nevertheless received universal acceptance by all Eastern Orthodox Churches even where their ecumenicity is not recognized. 8 (EO) Fourth Council of Constantinople (879–880 C.E. ); restored St. Photius to his See in Constantinople and anathematized any who altered the Nicene-Constantinopolitan Creed. 9 (EO) Fifth Council of Constantinople (1341–1351 C.E. ); affirmed hesychastic theology according to St. Gregory Palamas and condemned the Westernized philosopher Barlaam of Seminara. Note that these councils call themselves ecumenical and so do the emperors that signed their decisions. Synod of Jerusalem, (1672 C.E. ); defined Orthodoxy relative to Roman Catholicism and Protestantism, defined Greek Orthodox Biblical canon. 10. Second Council of the Lateran (1139 C.E. ); mostly repeated First Council of the Lateran. Clerical marriages declared invalid, clerical dress regulated, attacks on clerics punished by excommunication. 11. Third Council of the Lateran (1179 C.E. ); limited papal electees to the cardinals alone, condemned simony, forbade the promotion of anyone to the episcopate before the age of thirty. 12. Fourth Council of the Lateran (1215 C.E. ); dealt with transubstantiation, papal primacy, and conduct of clergy. Also said Jews and Muslims should wear a special dress to enable them to be distinguished from Christians. 13. First Council of Lyon (1245 C.E. ); mandated the red hat for cardinals, and a levy for the Holy Land. 14. Second Council of Lyon (1274 C.E. ); attempted reunion with the Eastern churches, approved Franciscan and Dominican orders, tithe to support crusade, conclave procedures. 15. Council of Vienne (1311–1312 C.E. ); disbanded Knights Templar. Council of Pisa, (1409) is not given a number because it was not called by a pope; it tried to undo the Papal schism that had created the Avignon Papacy. 16. Council of Constance (1414–1418 C.E. ); resolved dispute over papacy, condemned John Hus, who was burned at the stake. Council of Siena (1423–1424 C.E.) de-listed as the result was later branded a heresy; is the high point of conciliarism, emphasizing the leadership of the bishops gathered in council. 17. Council of Basel, Ferrara and Florence (1431–1445 C.E. ); reconciliation with the Orthodox Churches, which, however, was not accepted in following years by the Christian East. In this council, other unions were achieved with various Eastern Churches as well. Made official the Seven Sacraments of the Catholic Church. 18. Fifth Council of the Lateran (1512–1517 C.E. ); attempted reform of the Church. 19. Council of Trent (1545–1563 C.E., discontinuously); response to the challenges of Calvinism and Lutheranism to the Roman Catholic Church, mainly by calling for introduction of a Catholic Catechism, imposition of uniformity in the liturgy of the Roman Rite (the "Tridentine Mass"), clearly defined Biblical canon. 20. First Vatican Council 1870 (officially, 1870–1960); reaffirmed Papal Primacy in Church governance and solemnly defined the doctrine of papal infallibility; resulted in a new schism, the Old Catholic Church was created by some who rejected papal infallibility. 21. Second Vatican Council (1962–1965); mainly pastoral and disciplinary; called for a renewal of the Roman rite of liturgy "according to the pristine norm of the Fathers" and a popularization of the Gregorian chant, pastoral decrees on the nature of the Church and its relation to the modern world, restoration of a theology of communion, promotion of Scripture and Biblical studies, pastoral decrees on the necessity of ecumenical progress towards reconciliation with other Christian churches. The Oriental Orthodox Communion only accepts Nicaea I, Constantinople I, Council of Ephesus I and the Council of Ephesus II. The formulation of the Chalcedonian Creed caused a schism in the Alexandrian and Syriac churches. Reconciliatory efforts between Oriental Orthodox with the Eastern Orthodox and the Catholic Church in the mid- and late-twentieth century have led to common Christological declarations. The Oriental and Eastern Churches have also been working toward reconciliation as a consequence of the ecumenical movement. The Coptic Orthodox Church of Alexandria and other sister churches only acknowledge four councils, which are the First Council of Nicaea, the Council at Constantinople, the Council of Ephesus and the Second Council of Ephesus. The fourth (fifth) council which was the council at Chalcedon was the council that divided the Eastern (Oriental Orthodox) from the Western Churches. Copts believe that, in that council, the western church known as the Roman Catholic Church fought for power instead of faith. The Coptic view is that the Pope of Alexandria was considered the only Pope in the first centuries, and other leaders of churches were considered bishops. The Coptic view is that they were all equal but a Pope was considered as an older brother to all bishops. The Bishop of Rome, then known as Pope Leo I, decided to agree with the heresy of Tikos an archimandrite (head leader of monastery) that Christ had two separate natures, the divine nature and the human nature. The Coptic view is that the churches previously believed that Christ had only one nature which is the divinity and humanity that are united together and that they did not separate even when he was on the cross. Leo gained much support from other bishops and also the support of the Emperor. During the fourth council at Chalcedon, they locked the Pope of Alexandria and excommunicated him from the church. When the Coptic Pope (Pope St. Dioscorus) refused to sign the decree of Leo, he was exiled by the emperor. As far as some Eastern Orthodox are concerned, since the Seventh Ecumenical Council there has been no synod or council of the same scope as any of the Ecumenical councils. Local meetings of hierarchs have been called "pan-Orthodox," but these have invariably been simply meetings of local hierarchs of whatever Eastern Orthodox jurisdictions are party to a specific local matter. From this point of view, there has been no fully "pan-Orthodox" (Ecumenical) council since 787 C.E. Unfortunately, the use of the term "pan-Orthodox" is confusing to those not within Eastern Orthodoxy, and it leads to mistaken impressions that these are ersatz ecumenical councils rather than purely local councils to which nearby Orthodox hierarchs, regardless of jurisdiction, are invited. Others, including twentieth century theologians Metropolitan Hierotheos (Vlachos) of Naupactus, Fr. John S. Romanides, and Fr. George Metallinos (all of whom refer repeatedly to the "Eighth and Ninth Ecumenical Councils"), Fr. George Dragas, and the 1848 Encyclical of the Eastern Patriarchs (which refers explicitly to the "Eighth Ecumenical Council" and was signed by the patriarchs of Constantinople, Jerusalem, Antioch, and Alexandria as well as the Holy Synods of the first three), regard other synods beyond the Seventh Ecumenical Council as being ecumenical. Those who regard these councils as ecumenical often characterize the limitation of Ecumenical Councils to only seven to be the result of Jesuit influence in Russia, part of the so-called "Western captivity of Orthodoxy." Both the Roman Catholic and Eastern Orthodox churches recognize seven councils in the early years of the church, but Roman Catholics also recognize fourteen councils called in later years by the Pope. The status of these councils in the face of a Catholic-Orthodox reconciliation would depend upon whether one accepts Roman Catholic ecclesiology (papal primacy) or Orthodox ecclesiology (collegiality of autocephalous churches). In the former case, the additional councils would be granted Ecumenical status. In the latter case, they would be considered to be local synods with no authority among the other autocephalous churches. The first seven councils were called by the emperor (first the Christian Roman Emperors and later the so-called Byzantine Emperors, that is, the Eastern Roman Emperors after the Western Roman Empire ended in 476 C.E.). Most historians agree that the emperors called the councils to force the Christian bishops to resolve divisive issues and reach consensus. One motivation for convening councils was the hope that maintaining unity in the Church would help maintain unity in the Empire. The relationship of the Papacy to the validity of these councils is the ground of much controversy between Roman Catholicism and Eastern Orthodox Churches and to historians. The Roman Catholic Church holds that these ecumenical councils are infallible. General Councils … when they be gathered together, forasmuch as they be an assembly of men, whereof all be not governed with the Spirit and word of God, they may err and sometime have erred, even in things pertaining to God. Wherefore things ordained by them as necessary to salvation have neither strength nor authority, unless it may be declared that they be taken out of Holy Scripture. The Lutheran World Federation, in ecumenical dialogues with the Ecumenical Patriarch of Constantinople has affirmed all of the first seven councils as ecumenical and authoritative. Some Protestants, including some fundamentalist and nontrinitarian churches, condemn the ecumenical councils for other reasons. Independence or congregationalist polity among Protestants involves the rejection of any governmental structure or binding authority above local congregations; conformity to the decisions of these councils is therefore considered purely voluntary and the councils are to be considered binding only insofar as those doctrines are derived from the Scriptures. Many of these churches reject the idea that anyone other than the authors of Scripture can directly lead other Christians by original divine authority; after the New Testament, they assert, the doors of revelation were closed and councils can only give advice or guidance, but have no authority. They consider new doctrines not derived from the sealed canon of Scripture to be both impossible and unnecessary, whether proposed by church councils or by more recent prophets. Supporters of the councils contend that the councils did not create new doctrines but merely elucidated doctrines already in Scripture that had gone unrecognized. Proponents often argue that the early councils serve as a good benchmark or tool for scriptural interpretation to guard against the individualistic or idiosyncratic interpretations of Bible that ultimately leads to schism. The thinking is that an ecumenical council representing the whole church is much less likely to misunderstand the voice of the Holy Spirit in expounding the Scriptures than is a handful of zealous believers. The Assyrian Church of the East only accepts the First Council of Nicaea and the First Council of Constantinople. It was the formulation of Mary as the Theotokos which caused a schism with the Assyrian church. The Unia, in the sixteenth century, of the Catholic Church led to the Chaldeans being reconciled into full communion with Rome. Meetings between Pope John Paul II and the Assyrian Patriarch Mar Dinkha IV led to common Christological declarations in the 1990s stating that the differences between the Western and Eastern were primarily linguistic and historical rather than theological (owing to the difficulty of translating precise theological terms from Greek and/or Latin to Aramaic language.) Aramaic language is believed to have been the native language of Jesus. The first and subsequent councils are not recognized by nontrinitarian churches: Unitarians, Latter-day Saints and other Mormons, and Jehovah's Witnesses. The leadership of some groups—such as the Jehovah's Witnesses and the Mormon denominations—lays claim to a divine authority to lead the church today and sees the ecumenical councils as misguided human attempts to establish doctrine, as though true beliefs were to be decided by debate rather than by revelation. In the past few decades, many Roman Catholic theologians and even Popes have spoken of the first seven councils as ecumenical in some sort of "full and proper sense," enjoying the acceptance of both East and West. Pope Paul VI held meetings with the Ecumenical Patriarch Athenagoras I of Constantinople in order to repeal anathemas and give over relics as a gesture of good will and reconciliation with Eastern believers. The mutual excommunications of 1054 between the Pope Leo IX and the Patriarch Michael I Cerularius were lifted in the Catholic-Orthodox joint declaration of 1965. Moreover, Pope John Paul II, in his encyclical Ut Unum Sint ("That they may be one"), invited other Christians to discuss how the primacy of the Bishop of Rome should be appropriately exercised from then on; he says that the future may be a better guide than the past. In this way, the Bishop of Rome is allowing for the development of an ecclesiology that would be acceptable to both East and West, would allow for reconciliation of Roman Catholic and Eastern Orthodox Churches, and would provide a common understanding of the authority of councils called ecumenical. Similarly, on November 11, 1994, at meeting of Mar Dinkha IV, Patriarch of Babylon, Selucia-Ctesiphon and all of the East, leader of the Assyrian and Pope John Paul II at the Vatican, a Common Christological Declaration was signed, bridging a schism dating from the Third Ecumenical Council at Ephesus. The separation of the Oriental believers from the one holy catholic and apostolic Church after the Fourth Ecumenical Council at Chalcedon was addressed in a "Common Declaration of Pope Paul VI and of Pope Shenouda III of Alexandria" at the Vatican on May 10, 1973, and in an "Agreed Statement" prepared by the "Joint Commission of the Theological Dialogue between the Orthodox Church and the Oriental Orthodox Churches" at the Monastery of Saint Pishoy in Wadi El Natrun, Egypt, on June 24, 1989. ↑ www.eskimo.com, Articles of Religion. Retrieved July 11, 2008. ↑ Helsinki, Lutheran-Orthodox Joint Commission: Ecumenical Councils. Retrieved July 11, 2008. Davis, Leo Donald. The First Seven Ecumenical Councils (325-787): Their History and Theology. Liturgical Press, 1990. ISBN 978-0814656167. Need, Stephen W. Truly Divine and Truly Human: The Story of Christ and the Seven Ecumenical Councils. Hendrickson Publishers, 2008. ISBN 978-1598562996. Tanner, Norman P. The Councils of the Church. Herder & Herder, 2001. ISBN 0824519043. This page was last modified on 11 September 2013, at 14:48.